Faux Dupioni Silk has a textured finish. It is crisp to the touch, wrinkle resistant. 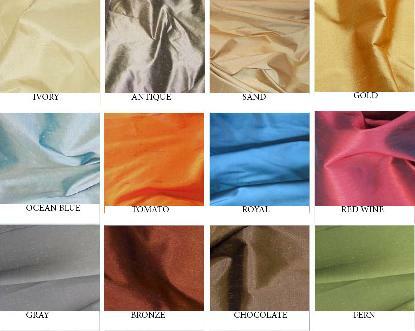 Available in 12 Color-ivory, antique, sand, gold, ocean blue, tomato, royal, red wine, gray, bronze, chocolate, fern.